European Union leaders called for an end to naivety on Friday in relations with Beijing and said China was a competitor whose markets were not sufficiently open, although they did not spell out specifically what they planned to do. 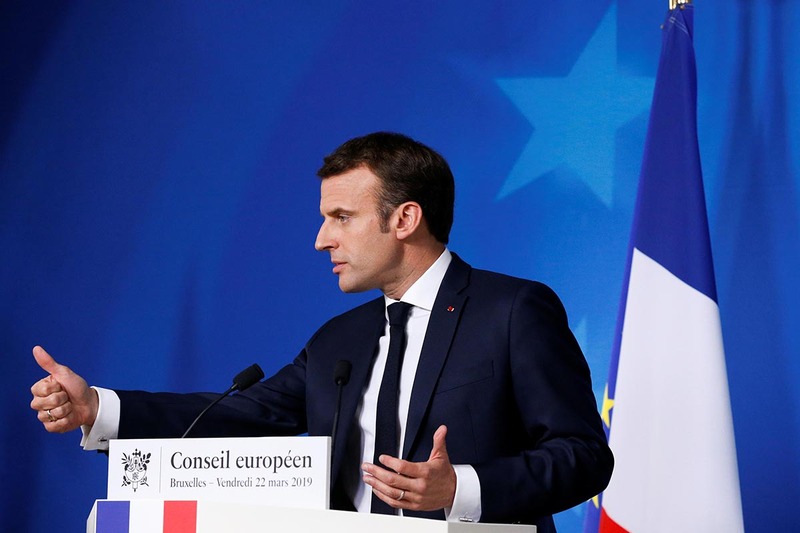 French President Emmanuel Macron, among the most vocal EU critics of Beijing, said that he recognized there was a divergence of views in the bloc but that letting Chinese companies buy up EU infrastructure such as ports had been a “strategic error”. “The period of European naivety is over,” Macron told a news conference. “The relationship between EU and China must not be first and foremost a trading one, but a geopolitical and strategic relationship,” he said. The goal of presenting a united front on China was complicated by a simultaneous visit by Chinese President Xi Jinping to Italy, whose eurosceptic government was due to sign an accord drawing the country into China’s giant “Belt and Road” infrastructure plan. Italian Prime Minister Giuseppe Conte said other EU leaders did not appear to have a problem with Rome’s Belt and Road plans. Italian officials said Rome would comply with EU rules, such as on fair procurement and the environment. “As far as he explained it, I have nothing to criticize for now, but have already discussed that it is even better if we act together,” Merkel said. “We need fair rules and naturally also protection for intellectual property and know-how from Europe and proper treatment of our investors in China,” Kurz said. The EU leaders also discussed Huawei Technologies Co and whether it should be allowed to provide equipment for future high-speed 5G networks. The US government has said the equipment could be used to spy on the West. “I think we need a base of rules to be respected by anyone who wants to do 5G in Europe,” Luxembourg Prime Minister Xavier Bettel said. The European Commission has said it will come up with a recommendation about 5G after the EU summit.